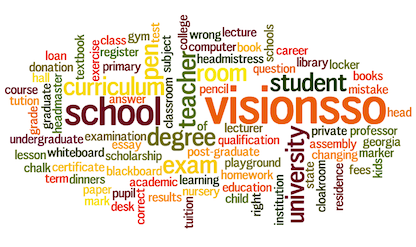 VISION SSO, INC. IS AN APPROVED 501 (C) (3) NON-PROFIT CHARITABLE ORGANIZATION, BASED IN ALPHARETTA, GEORGIA, THAT PROVIDES SCHOLARSHIPS TO STUDENTS ATTENDING PRIVATE SCHOOLS IN GRADES PRE-K THROUGH 12TH GRADE. Satisfying the quest for quality education by allowing parents to enroll their kids in the school of their choice and thereby enabling all of Georgia’s Pre-K through High School students to achieve educational excellence by awarding tuition scholarships at eligible Private schools in Georgia. In 2008, Georgia’s Qualified Education Expense Tax Credit program was approved by the State of Georgia (Legislation HB1133). According to HB1133, Georgia Tax Payers have some control on how their tax dollars are used. As per HB1133, Tax payers in Georgia can make a donation to eligible private schools which in turn will be used to provide Tuition grants and scholarships to eligible students attending that private school. The law dictates that the donor will get a dollar for dollar credit off the Georgia Income Tax based on limits defined by each Tax payer’s status (Joint filers, Individual filers, etc). 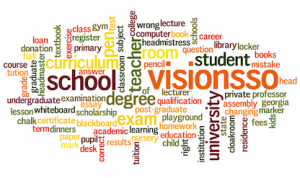 The law requires that the donations between the tax payer and the private school be managed by an SSO – like Vision SSO, Inc. All SSOs as per law need to allocate 90% of their revenue for scholarships and tuition grants to eligible students.